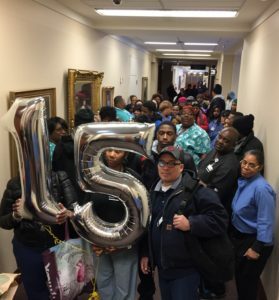 Watch Video: Northwestern Hospital Workers “March on the Boss” to Deliver $15 Balloons, Fight For a Fair Contract! (March 14th, 2017) — This afternoon scores of Northwestern Hospital workers marched on the boss to demand a fair contract and a bigger slice of the pie, instead of meager crumbs during bargaining. 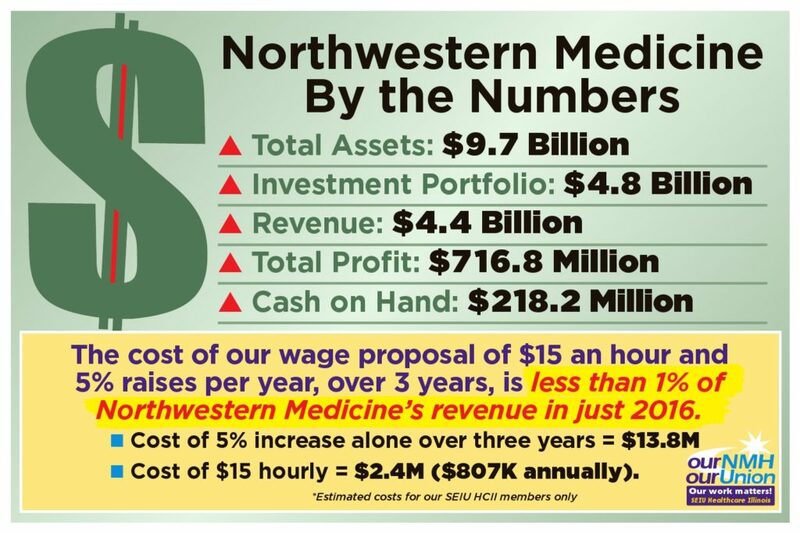 Despite Northwestern’s billions of dollars in financial assets and revenue, management offered a disgusting level of raises of .25 cents an hour and wants to continue to pay poverty level wages to new hires. Northwestern needs to respect our union and recognize that OUR WORK MATTERS!